ATMOS POWER PVT LTD is ISO 9001:2008 certified company. We are one of the eminent quality driven organization and quality is our prior aim which results in client satisfaction. We have a team of quality experts who have gained wide expertise in providing unique quality Hydrogen Plants in our complete range of products that meets industrial standards. We understand the requirement of clients and supply all the Hydrogen Plants as per their requirements. Producing – providing quality base product with best performance with output. 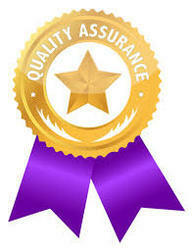 Quality Management – Its optimizes its performance through analysis and improvement. We applied to physical products in pre-production to verify what will be made meets specifications and requirements, and during manufacturing production runs by validating lot samples meet specified quality controls. We believe that the original versions of Quality Management System Standards (eventually merged to ISO 9001) were designed to contract manufacturers to produce better products, consistently and were focused on Producing, Checking and Quality Control. Simply put, a quality item (an item that has quality) has the ability to perform satisfactorily in service and is suitable for its intended purpose. The emergence of tools like Asset Optimization and 6 sigma is an interesting development in the application of quality principles in business. Managing quality is fundamental to any activity and having a clear understanding of the five aspects, measuring performance and taking action to improve is essential to an organizations survival and growth.